There was much glee among the wrestling world when 3/4 of the WWE Bullet Club remnants reunited for a six-man tag team match on the first Raw of 2018. Following orders from Kurt Angle to find his own partners for his match against Elias and The Miztourage, Finn Balor didn't need to look further than his old New Japan buddies, The Good Brothers. 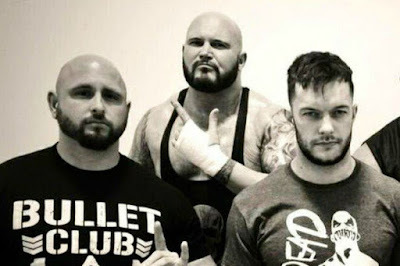 While the connection of AJ Styles, Karl Anderson, and Luke Gallows was explored early on in their WWE careers, Balor was rarely included in that conversation. Snippets here and there mentioned his New Japan days, and even his matches with Styles, but talk of a so-called "Balor Club" featuring his former Bullet Club members always seemed little more than speculation, and the product of fan made rumor mills. It is not yet clear if this is a one-off or a real faction, but what is the case for not keeping them together? Anderson and Gallows have been criminally underused and Balor has become somewhat of a booking oddity as of late. Is more losses to Kane and no story lower midcard feuds really the better career path for the first WWE Universal Champion? Let us hope that WWE sees the, already proven, potential of putting these three together on a more permanent basis. Used sparingly, the all-inclusive company spanning storylines can work very well. Just look at the early part of the Nexus Angle or Team Authority vs. 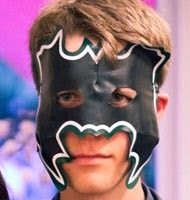 Team WWE. However, this one story fits all approach is not the most enthralling where the SmackDown Live women's division is concerned. I get that they want The Riott Squad to be a big deal, but I feel that the individuality of every performer in the division suffers as a result of this singular story clogging up the entire narrative. It would be fine if it was a great story, but there is nothing amazing or new about it. Remember the WWE SmackDown's Women's Championship? Good, because judging by her last entrance, Charlotte Flair has forgotten she holds it! Why make the title feel secondary to The Riott Squad with the Women's Royal Rumble coming up? Raw seems capable of finding women roles outside the championship picture, but SmackDown Live rarely runs more than one women's story at a time. Granted, Raw has more time, but it only needs a match here and a promo there to build up some sort of additional secondary story.